The piezo element is made by gluing piezo ceramic elements onto metal plates, and it is excited by an oscillatory circuit, which translates electrical energy into mechanical energy by reversed piezoelectric effects. 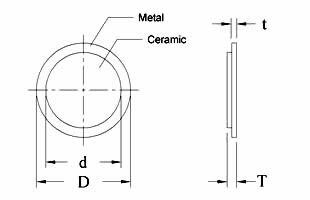 The mechanical energy then makes the ceramic element elongated or contracted, which produces sound. Its mode of vibration is shown in the figure below.